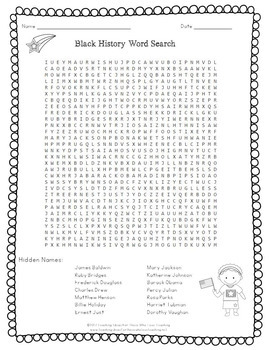 This black history word search is perfect for finding the famous, and not so famous, heroes of black history. 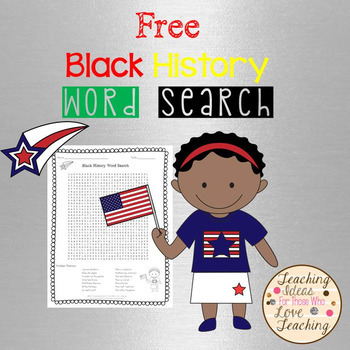 The names included in this word search are: James Baldwin, Ruby Bridges, Frederick Douglass, Charles Drew, Matthew Henson, Billie Holiday, Ernest Just, Mary Jackson, Katherine Johnson, Barack Obama, Percy Julian, Rosa Parks, Harriet Tubman, and Dorothy Vaughan. Students will probably know many of the names in this word search, and may need to research several of them as well. A great way to introduce, or conclude your black history month lessons.